A computer glitch forced United Airlines, the world’s second-largest commercial air provider, to momentarily halt all scheduled domestic take-offs. An advisory from the Federal Aviation Administration’s air traffic control system command center said unspecified automation issues had prompted the FAA to announce a ground stop for all UA flights inside the US. According to Bloomberg News, Tuesday’s incident marks the third time this year that United passengers suffered because of the airline’s computer issues. 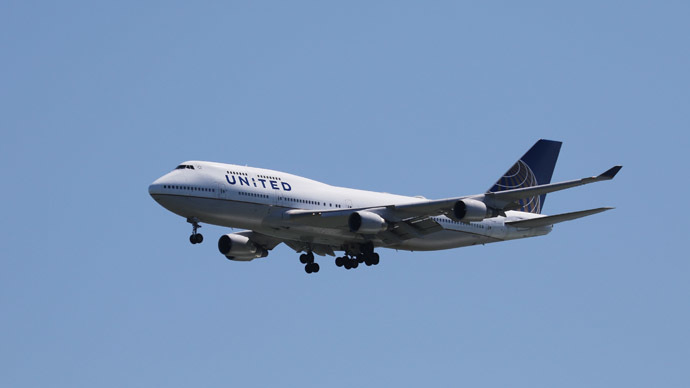 Shares in UA’s parent company, United Continental Holdings, initially fell by 3.5 percent after the ground stop announcement was made before beginning to rebound. United is still reeling from criticism after news reports surfaced earlier this week detailing the plight of a Muslim passenger, Tahera Ahmad, who says she was refused an unopened can of soda while traveling from Chicago, Illinois to Washington,DC because her flight attendant said she might use it as a weapon.